Forster will be replaced as Opel chief by external candidate. 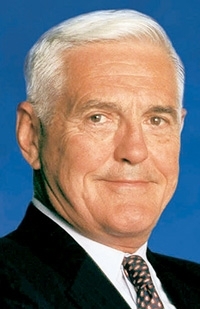 DETROIT -- Bob Lutz, General Motors Co.'s top marketing boss, will chair the supervisory board of GM's Opel unit and help steer a restructuring plan there now that GM has decided to retain control of the European automaker, a source close to GM told Automotive News. Lutz, 77, will not take a direct management role in Opel, the source said. The supervisory board meets three or four times a year. 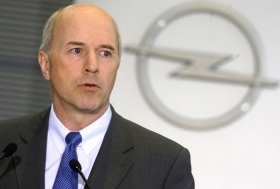 Lutz already is a member of the Opel supervisory board. The appointment will likely be made next week, the source said. Lutz's added responsibilities were reported today by The Wall Street Journal. This week GM's board -- after months of painstaking negotiations -- decided not to go ahead with a plan to sell 55 percent of Opel to a group led by Canadian supplier Magna International Inc. and the Russian bank Sberbank. GM said Opel Europe President Carl-Peter Forster is leaving following the surprise decision by GM's board to keep Opel. Forster spoke out in favor of the Magna deal in mid-September. Forster will continue to advise GM during an “immediate external search” for a new CEO, GM said in a statement. GM plans to replace Forster temporarily with Nick Reilly, former managing director of Opel sister brand Vauxhall in the UK and current head of GM's international operations, the GM source said. Reilly will remain president of GM International, the source said. Henderson said no other management changes to the Opel Europe organization are being considered. Bob Lutz will chair the new Opel board. DETROIT – Carl-Peter Forster, GM group vice president and president, Opel Europe, will be leaving his role as head of European operations and will advise the company during the transition to find a new CEO, it was announced today. With the departure of Forster, GM will initiate an immediate external search for a new CEO for Opel Europe and will work with Opel leadership, in consultation with representatives of the European Employees Forum, in moving forward with a plan that will build a strong and enduring future for the Opel/Vauxhall brands. Henderson added that no other management changes to the Opel Europe organization are being considered at this time, and that all key management roles remain while the search for a CEO to lead Opel Europe commences. “The past few years building the Opel brand has been a tremendous personal opportunity,” said Forster. “We've seen great strides in design, quality and technology and the launch of truly world-class products. It's been an honor to be part of the history of Opel, and I wish all the people with the organization only the best in what I'm certain will be a great future."